The average Facebook user has 250 friends. Some of the top networkers have close to 800 friends. Additionally, if you are really using LinkedIn well, you should have at least 500 connections. Next, imagine that each of these connections knows three more people. Finally, the sum total of that entire network has relationships at three or more organizations with people doing all kinds of jobs. It’s great that you have such a valuable asset. The problem is that it’s impossible to find who you should actually be talking to when you actually want to talk to them. Think needle in haystack! Meeteor.com gives you the ability to indicate in which company you are searching for connections or the types of roles you would like to explore. It actually works really well. I tried a search in which I wanted to meet new people in staffing and recruiting in the IT industry. Every week, I got a list of brand-new connections to explore. 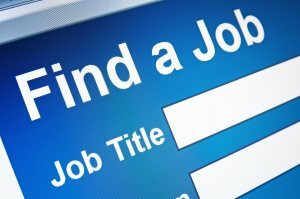 Job seekers: use this tool to find new info-interview sources in your top 10 target companies. Recruiters: use this tool to find passive candidates in competitive companies for roles you are trying to fill. There are a lot of online résumé companies. Some of them are very good. But they essentially take a paper résumé and stick it into some HTML coding and nice fonts. Vizualize.me takes your résumé a step further. After you import your LinkedIn profile, Vizualize.me generates that information in the form of an Infographic – it will graphically represent your profile. With the tool, you can modify the fonts, format, and colors to fit your brand. I’ve built a few for myself and have been really pleased with how they look, though I never went so far as to have it printed on a t-shirt (which you can do as well). Cachinko.com is like Pandora, but for jobs. After you “star” a job you like, the system will leverage your social graph (your friends and connections) to find similar positions that you are more likely to be interested in. I tried several searches with this tool and thought it was pretty neat – if you are into using job boards. Rather than searching over and over again on a job board, with Cachinko, you just go to the “Jobs You’ll Love” list and it populates it for you. The more jobs you “star” the more accurate the list will be. After you’ve identified a job you want, you can use the “Friends who can help” feature to actually talk to people in your network about the job. 1-page.com stands for One Page Job Search Proposal. Founder Joanna Riley is the daughter of Patrick Riley, author of the long-time best-selling business book, The One-Page Proposal. The idea is that if you can’t sell your idea on one page, you haven’t thought about it enough. While a résumé may have a place in the hiring process, its function is no longer the pivot point for employers. Enter the one-page proposal. By submitting a proposal to a potential employer, you are telling them what you WILL do for them should they choose to hire you. The format of a “one-page” proposal is very specific. And this website will take you through the steps one by one. Even if you don’t end up using your proposal in your application or in your networking, the process of writing down your entire value on one page is hugely valuable.